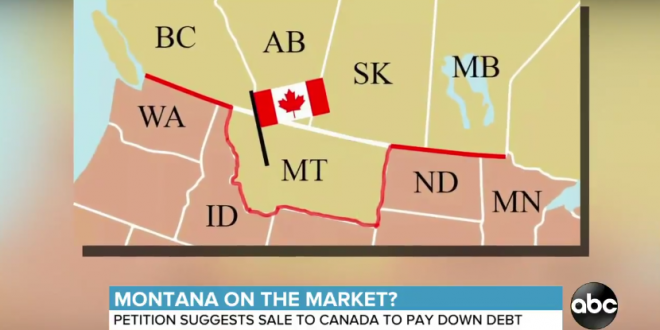 Viral Petition: Sell "Useless" Montana To Canada For $1T - Joe.My.God. Ian Hammond, the petition creator, wants to sell The Treasure State to the nation’s neighbor to the north for $1 trillion to help pay down the national debt. A lot of Montanans appear okay with the idea. “This Montanan totally supports the idea,” Michelle Erb said. Others who signed the petition are thinking about moving before the sale takes place.